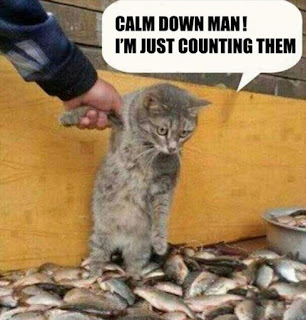 "Calm down man, I'm just counting them!" Hehe! I only recently figured out that if a cat wants to find out more about something, but not put it's face near it, it will pat the thing and then sniff/ taste it's paw.